The Inspectorate General of Government (IGG) is investigating Wilfred Odiya Baguma, the Chairperson Local Council III of Atiak Sub County in Amuru district for allegedly forging academic papers to access a government job. IGG launched the investigation into Baguma’s papers after a tip- off from unnamed whistle-blower. In her letter dated November 15, 2018, and addressed to the Amuru District Police Commander, Miriam Wangadya, the Deputy IGG asked police to investigate Baguma for using forged academic documents to gain employment with Amuru District Local Government as a Nursing Assistant. The letter was copied to the Amuru Chairperson District Service Commission, LCV Chairperson, Amuru and the Resident District Commissioner. Preliminary investigations by the IGG indicate that whereas Baguma claims he sat for his Uganda Certificate of Education (UCE) from Mutesa II High School under Index Number U0924/053 in 2008, the said results belonged to another candidate named Francis Kawooya. According to IGG, with the forged results, in June 2010, Baguma got a job with Amuru District Local Government as a Nursing Assistant with salary scale U8. “On June 1, 2011, Mr Wilfred Odiya Baguma, was confirmed into service as a Mortuary Attendant and also transferred to Nwoya district in the same position,” reads part of a letter by the IGG. Baguma was later transferred to Okidi Health Centre II in Amuru district in August 8, 2011, as a Nursing Assistant after his position was designated to a Nursing Assistant since Amuru district did not had any major hospital with a mortuary at the time. Baguma allegedly used the forged UCE certificate to gain entry into Community Based Health Workers and Nursing Assistant College which closed in 2010, according to IGG. 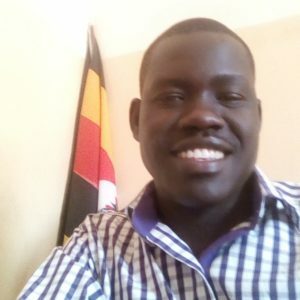 The investigations conducted by IGG further revealed that Baguma resigned in August 25, 2015 in order to participate in the elections for the position of Local Council III Chairperson of Atiak Sub County in Amuru district. He was successfully elected to office under the ruling NRM party. When contacted, Baguma however said he has not received the IGG letter ordering police to investigate him. “By using Francis Kawooya certificates, to gain employment in Public Service, Mr Wilfred Odiya Baguma, contravened section 384 (1) of the penal code act, cap 120, which provides that, “Any person, who the purpose of obtaining employment utters any document of nature of the testimonial of a character given to another person, commits a misdemeanour and is liable for imprisonment of one year,” further reads the letter from the IGG. The Amuru District Police Commander, Emmanuel Bwambale said he has received a copy of the IGG letter from the office of the IGG and said investigations are underway. Bwambale however declined to give any further details saying that it is too early to go into details of their investigation.